I diecut the paper bag using my Big Shot machine and the Mini Treat Bag Thinlets Die. 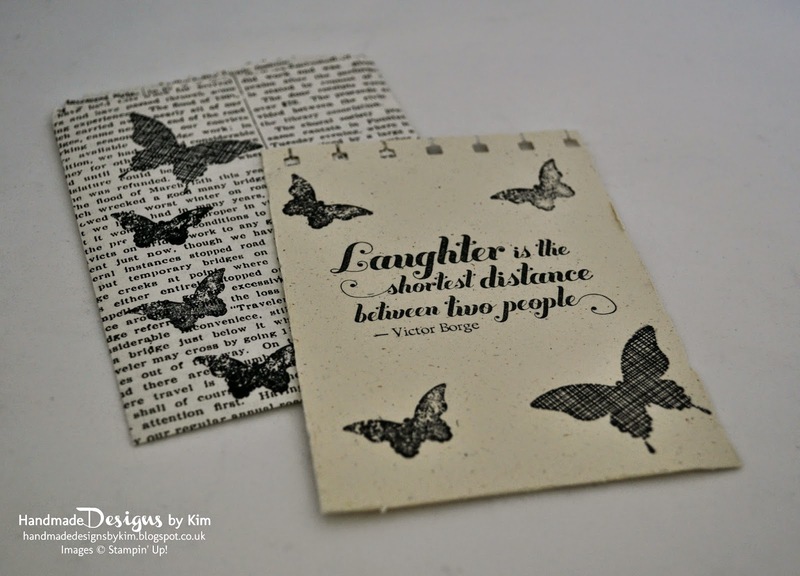 I stamped the outside of the bag using the Butterfly stamps from the Kinda Eclectic Stamp Set and I stamped the front of the notecard with the sentiment 'Laughter is the shortest distance between two people - Victor Borge'. I've only got 2 projects left in my Typeset Designer Series Paper collection...make sure you pop back here on Saturday to see my next creation in this series! Here is a sneak peek of the complete collection of 8 projects! Click here to subscribe to my blog so you don't miss any of these projects! 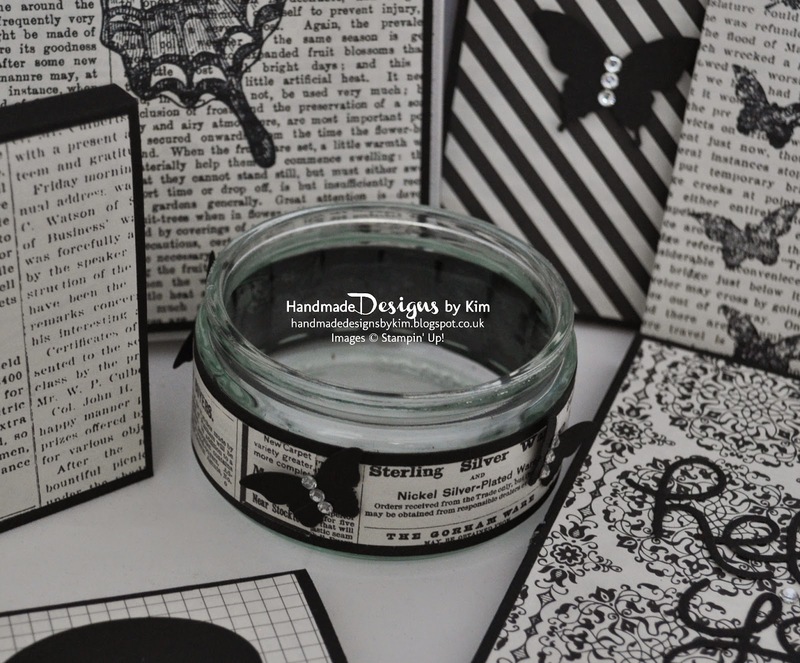 Welcome to Handmade by Kim. I live in Somerset, UK. I love to make handmade cards and gifts in my spare time and I enjoy sharing them through social media. Click on the catalogue to browse or download for FREE! 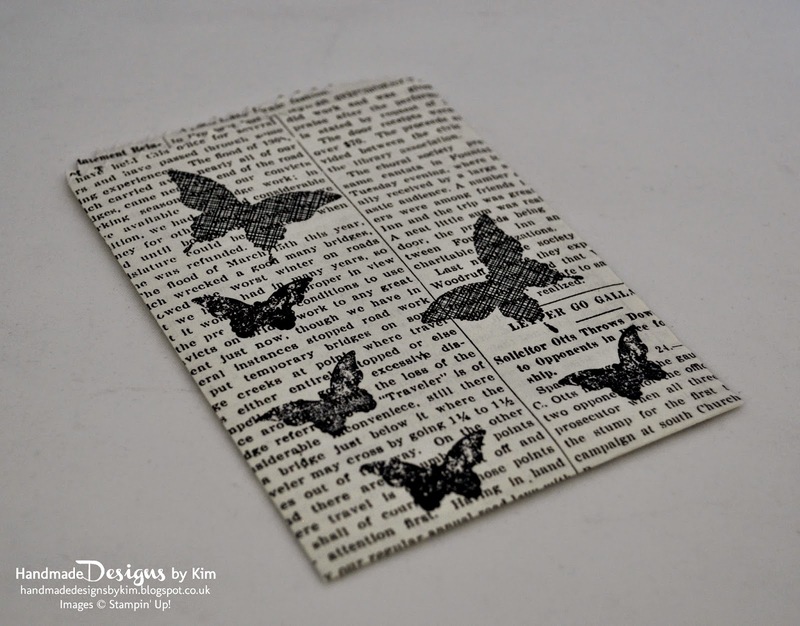 Follow Handmade by Kim's board on Pinterest. Floral Boutique Gift Bag Swap & My First YouTube Tutorial! Christmas Treat Bags using 6" x 6" Candy Cane Lane Designer Series Paper by Stampin' Up! Disclaimer: All content on this blog is the property of Kim Price, Independent Stampin' Up!® Demonstrator. Comments, promotions or services offered here are not endorsed by Stampin' Up! Projects, photos, ideas and articles are shared for your personal use only and may not be removed, duplicated or copied without permission. You may however share posts and photos using the social media icons for Facebook, Pinterest and Twitter.